Follow the beautiful Portuguese Camino to Fátima which follows the pathway of the Caminho del Mar from the lovely coastal town of Cascais and finish up in the globally important site of Fátima. 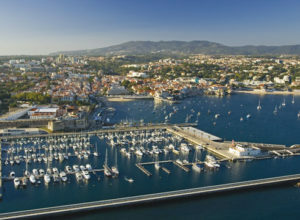 Your journey along this Camino route begins in the gorgeous seaside town of Cascais Estoril, making its way alongside the coast for the first day before beginning its journey inland through the spectacular natural park of Sintra Cascais. Along the way you will pass through many fascinating towns. Explore one of Europes finest palaces when you visit Mafras Palacio Nacional. The palace is so vast it contains a huge monastery, beautiful gardens, an ornate basilica and a library with over 36,000 ancient books. From the relatively flat portuguese coastal plain follow the Camino to Fátima as it crosses though the hills and natural park of the Serras de Aire to reach the important Catholic pilgrimage site of Fátima. 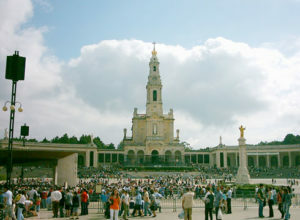 Fátima is reportedly the site where the Blessed Virgin Mary appeared to three shepherd children back in 1917. The site has ever since been a centre for catholic devotion and is visited each year by thousands of pilgrims who wish to visit the beautiful Sanctuary of Our Lady of Fátima. Leave the town of Estoril today, making your way from the church of Saint Antonio do Estoril along the coastal path through the town of Cascais. Shortly you will say goodbye to the coastal path and veer inland where you will traverse the natural park of Sintra-Cascais. Climb to a height of 416 meters where you will enjoy panoramic views of the region before descending to reach the town of Sintra. 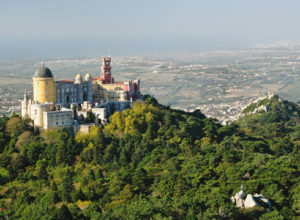 Leave the town of Sintra and continue on your Camino trail. An easier walk awaits you today as you pass by many small towns where you can always stop for a break. Stop off at the archeological musuem in Odrinhas. Soon you will descend to the town of Carvalhal located in the Lizandro river valley. After a short ascent out of the town it will not be long before you reach your destination of Mafra. 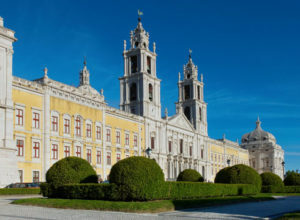 Visit the beautiful palace and the beautiful Jardim do Cerco. The palace is one of the finest in Europe and is so vast it includes a huge monastery, an ornate basilica and a library with over 36,000 ancient books. Leave Mafra today and your path a mix of trails and small roads will lead you along the edges of Tapada National Park. Your trail today will reach a height of 256 metres before gradually descending to the town of Torres Vedras. 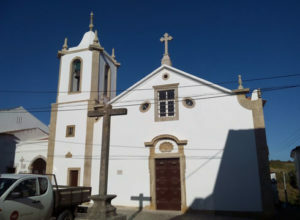 On your route today you will pass through the small towns of Livramento, Freixofeira and Trucifal. Ideal stops for a break if you wish for some refreshments today. 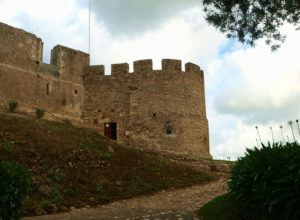 Visit the towns two large fortresses, part of a large network of fortresses known as the Torres Vedras Line, built in the 18th Century to protect Lisbon from Napoleons invading army. Your trail today once again will take you on a mix of both narrow walking paths and small roads. The route itself will be quite flat today and not too challenging. Shortly after you leave Torres Verdas you will begin following parallel to the Rio Alcabrichel. Soon you will veer north towards to the town of Outeiro da Cabeca, an ideal place to grab some refreshments along your way today. Soon you will once again be running alongside a small railway that will lead you into Bombarral, known for its vineyards. 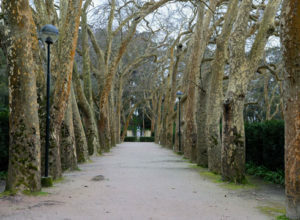 Another short day awaits you today as you make your way to the city of Caldas da Rainha. While you here take time to visit the museums of Jose Malhoa and the Museu de Ceramica. Easy Walking Option: You can choose to split this walking day in two and stay in Obidos Municipality, between Bombarral and Caldas da Rainha. Your route today brings you within 4km of the coast as you reach the town of Alfeizerao. This is an ideal place to grab some refreshments as you continue to make your way to the town of Alcobaca. The distance today although long is not challenging in terms of elevation. Alcobaca gets its name from the two rivers that flow through the town. 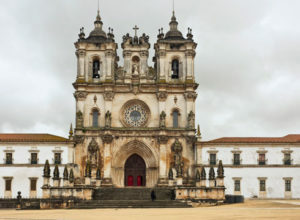 While you are in the town, take time to visit the lovely monastery of Alcobaca. 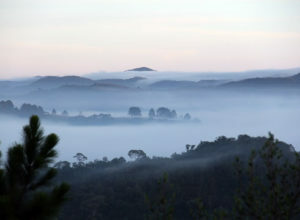 A relatively challenging day awaits you today as you leave the flat Portuguese plain and reach the Serra do Aire hills. Your highest elevation today will be 375 metres and from here on you will descend to reach the town of Ribeira de Cima. Your journey through the Serra do Aire hills continues today as your path, along a mix of walking trails and small roads, quickly ascends once again as you leave the town of Ribeira de Cima. Today you will pass though several small hamlets before you arrive in Fatima. 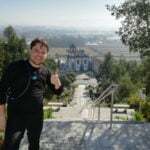 Your highest elevation today is 455 metres and you will only have a small descent into the town of Fatima where you will finish up today in front of the Sanctuary of Fatima and the great Basilica de Nossa Senhora do Rosario. 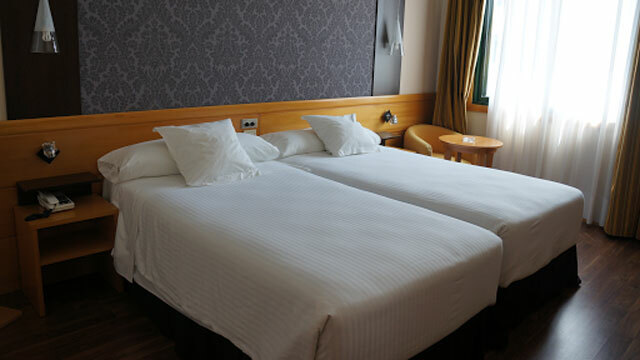 Lisbon Airport 29km: From the airport take the Metro to Alameda Station in the centre of Lisbon (every 5 minutes, taking 18 minutes) and from here take the Metro to Lisboa Cais do Sodre station (every 5 minutes, taking 11 minutes). From here take the train to Estoril (every 15 minutes, taking 36 minutes). Lisbon Airport 121km: Take the bus from Fatima to Lisboa Sete Rios station (every 30 minutes, taking 1h25mins) and from here take the bus to Lisbon Airport (every 20 minutes, taking 20 minutes). Porto Airport 208km: Take the bus from Fatima to Porto City Centre (every hour, taking 2h20mins) and then take the Metro to Porto Airport (every 5 minutes, taking 29 minutes).